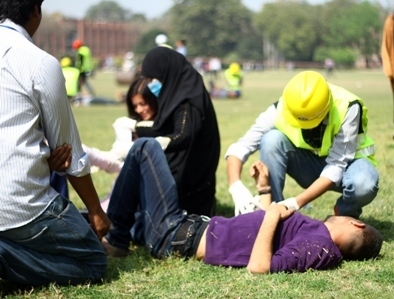 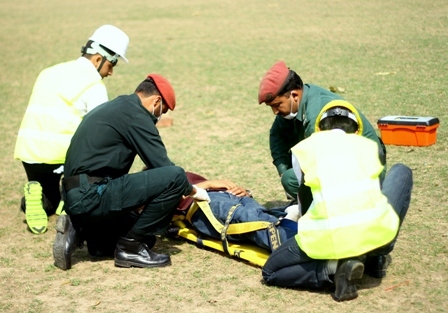 The Red Crescent Youth Group and officials from Rescue 1122 held a disaster demonstration on the FCC campus on 12 March 2014. 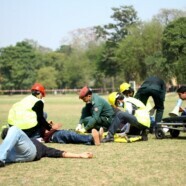 The demonstration comprised of first aid and pre-hospital treatment to victims in case of an emergency. 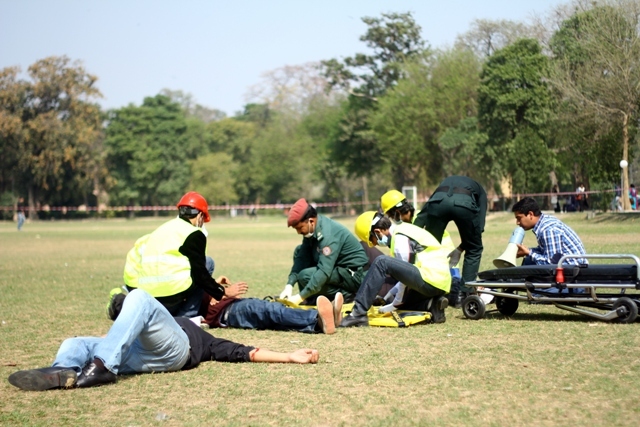 The demonstration was arranged to show how a trained community rescuer can handle a disaster before the arrival of Rescue 1122 and how that can help to increase the number of lives saved.